What do you picture when you’re looking to hire for your practice? Perhaps someone who works hard, brings in new patients and establishes rapport with your patients, raising the reputation of your practice. Now while that all sounds like a dream come true, I’m sure you don’t have to be told that it doesn’t happen all of the time. The flip side of this is a recruitment nightmare. A hire gone wrong can mean wasted hours and dollars spent on-boarding and training and reduced morale within the practice team. With the wrong fit, it’s likely the first to notice will be your patients! Needless to say, those who are in the game of healthcare recruitment have a lot at stake. Avoiding these crucial errors will help you to sleep soundly when you make recruiting decisions. A huge mistake that many make when advertising a job in a specific field is to advertise it on a gigantic, generic job board. The risks here include having your add lost in the depths of the hundreds of other similar positions and frustratingly, having applicants without the relevant tertiary qualifications trying their luck and applying anyway. 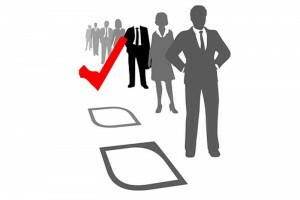 Using a more specific job board, ensures your job advertisement gets seen by the right people and the right people only. Candidates already within your practice team are your best asset. Working to up-skill your workforce with continuous professional development can help you to move your employees step up to a bigger role. This may leave a lower ranked position vacant, for which hiring is less of a risk. Another benefit of promoting existing members is significantly boosting employee morale, thereby increasing staff retention. You are aware that gone are the days of posting a job ad in your local paper. What you may not know is that even non-mobile friendly webpages may not make the cut on the market preferred by the upcoming generation in the workforce. Research suggests that around 80% of millennials expect to be able to browse and apply for jobs on their smart phone. Advertising your job in a way that is highly accessible on the World Wide Web, not only via a computer monitor, but also smart phone and tablet can help you to avoid losing out to the more tech savvy competition when looking to pick up fresh new faces for your practice. Job interviews take time and are expensive; for an hour long interview, your hourly rate multiplied by the number of job interviews conducted equals a costly process, which if used in isolation may lead you to making a bad hire! Avoid going straight into interviewing everyone and anyone that simply look good on paper. Resumes can be deceiving but questionnaires, especially well formulated psychometric questionnaires, can help paint an unbiased picture of your candidates. They can do much of the work for you and can help you to eliminate those who may not be appropriate for the job before scheduling out your precious time.